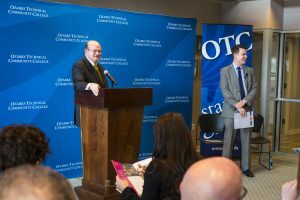 OTC unveils new strategic plan, "Your Dreams, Our Plan – OTC 2025"
Ozarks Technical Community College unveiled its new strategic plan “Your Dreams, Our Plan – OTC 2025” today at the OTC Springfield Campus. The plan features three initiatives: student success, access to education and alignment with community needs. Improve experiences at every point in the institution to increase opportunities for students to attain their educational goals. Increase and sustain the college’s physical and online capacity to ensure every citizen in OTC’s service area has an opportunity to access college services. Actively engage the community and external groups to best meet the educational and workforce needs of OTC’s service area. Each initiative has specific goals, deliverables and measurable outcomes to hold the college accountable to its plan. To view the entire document, visit this website. Everyone in the OTC service area had an opportunity to provide input to “Your Dreams, Our Plan – OTC 2025.” The college sent out thousands of postcards with a link to a survey, held more than 10 community events to gather feedback in open forums, and hosted discussions with faculty, staff and students. OTC received more than 1,000 comments and suggestions. The college’s strategic plan is actively used by employees at the college to align their day-to-day work with the initiatives set forth in the plan. 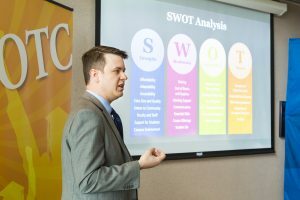 When individual departments engage in their own strategic planning for the year, they are required to align each goal to one of the institution’s strategic initiatives.